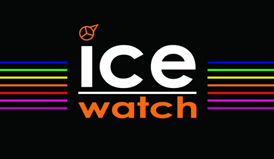 Although the Ice Watch brand is only 3 years of age, just started in 2007, it has propelled itself fast to be one of the newest yet leading brands on the watch market, with low cost and designer watches appealing to all ages. The brand originally started in Belgium in 2007, where its main head office is currently situated in the Bastogne area of this country. In the space of just a few years the brand has become an overnight success, with hundreds of celebrities currently wearing one of their watches with pride, with its designer feel and stunning presentation making this a watch you really want to have.